It seems like it's impossible to make it through a Northeastern winter without catching a cold. I know science says the slushy, cold, icy winters we have around here do not actually cause colds, but when I lived in the mild, damp Northwest I don't remember ever catching a cold. Around here, everyone seems to get sick every winter. That might have more to do with the fact that we all cram so tightly onto the subway that we're essentially breathing air directly out of each other's mouths than it does with the miserable weather, but the sleet and slush certainly doesn't help. Last weekend a I was suddenly overcome by an achy feeling of exhaustion, coupled with a runny nose, and an endlessly scratchy throat. I knew I had to battle this cold off before it got its claws in me and stole my whole week. 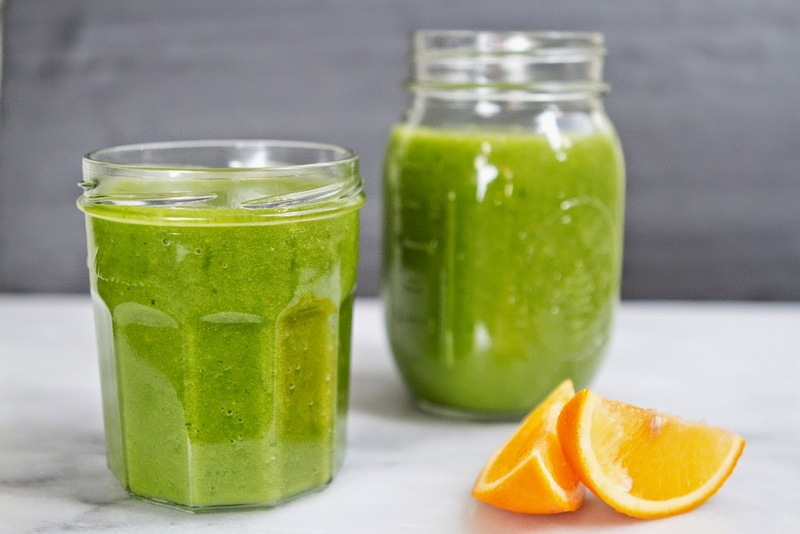 I popped zinc tablets, dropped oregano oil into my orange juice, made big steaming mugs of honey-ginger-lemon tea, and a big blender full of this delightful smoothie. Oranges pack a ton of vitamin C, which is said to help shorten the duration of the common cold, the pineapple is loaded with bromelain, an anti-inflammatory which will help you fight off the cold, and relieves coughing. 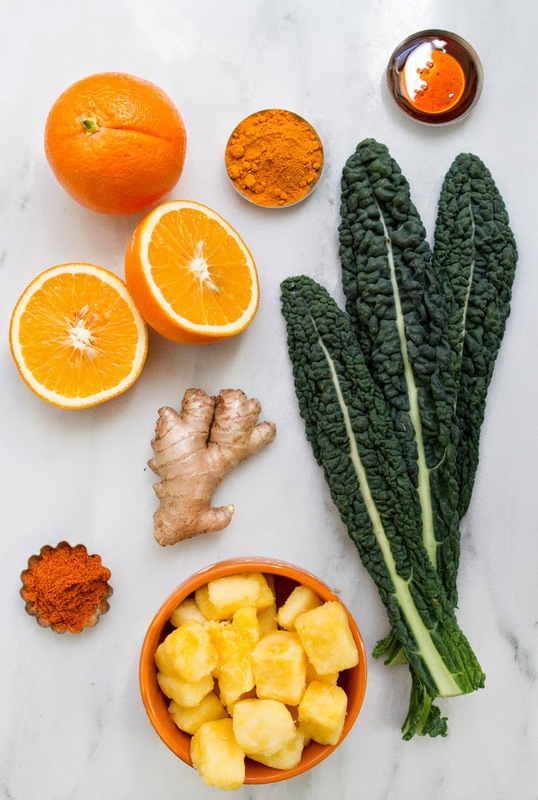 Ginger and cayenne are both excellent for clearing the sinuses, the honey will soothe your throat, and kale is simply nutrient packed and good for you. It's always wise to get extra vitamins and nutrients while you're sick! 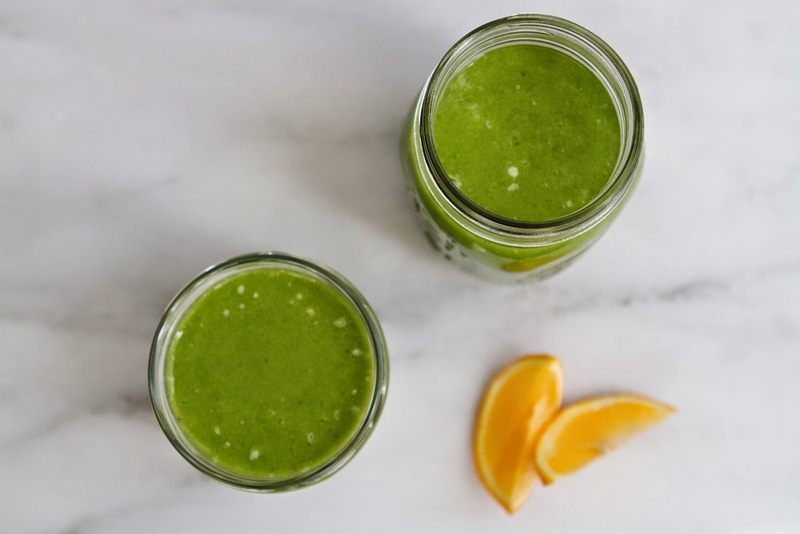 By Monday I had whipped up and drank at least three servings of this lovely smoothie, and I was feeling much better! 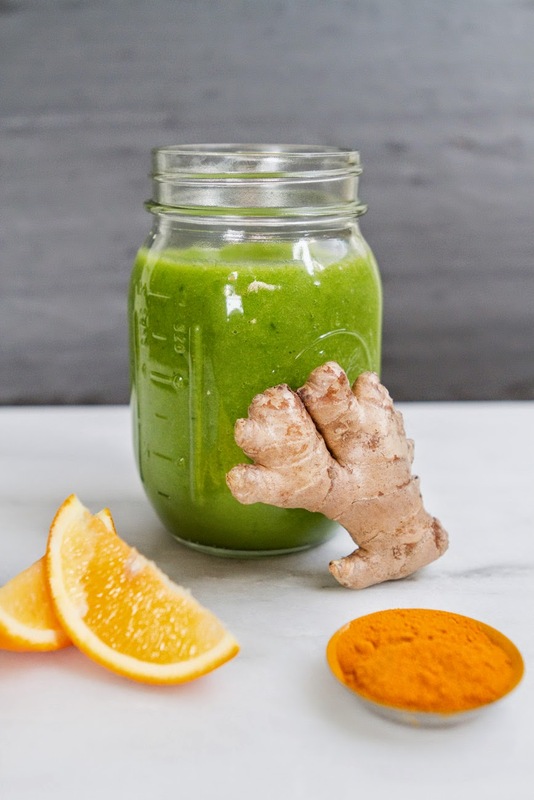 I hope you can stay healthy throughout this winter, but if you happen to catch a doozy of a cold, at least you can make this delicious, healthy smoothie to help you get through it! Jubilee the oranges by cutting off the tops and bottoms, then standing up the orange and cutting away the peel from the sides. Alternatively you can peel them. Cut the oranges into quarters. Set aside. Cut the ginger into small chunks, rip up the kale leaves. Now you have two options. If you have a super high powered blender, like a vitamix, you can probably just toss everything in it and run it on high. 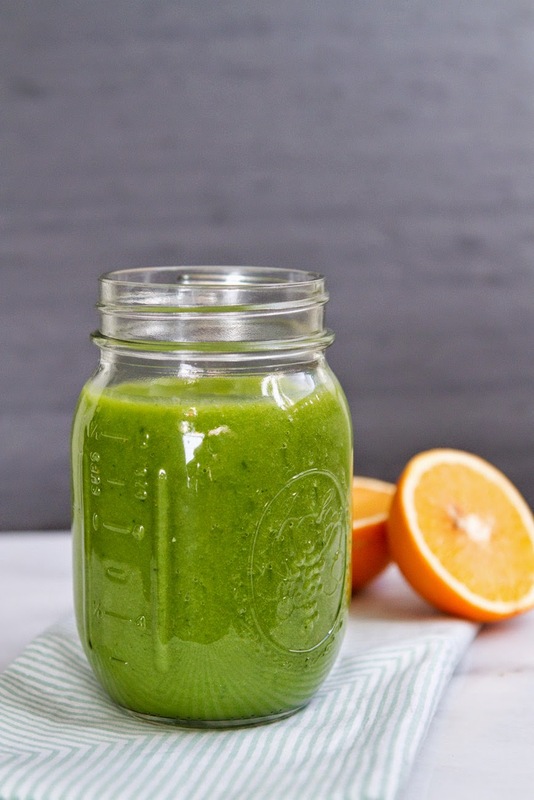 I have a regular blender, so I juiced my kale with my oranges and ginger, so I wouldn't end up with any leafy bits in my smoothie. 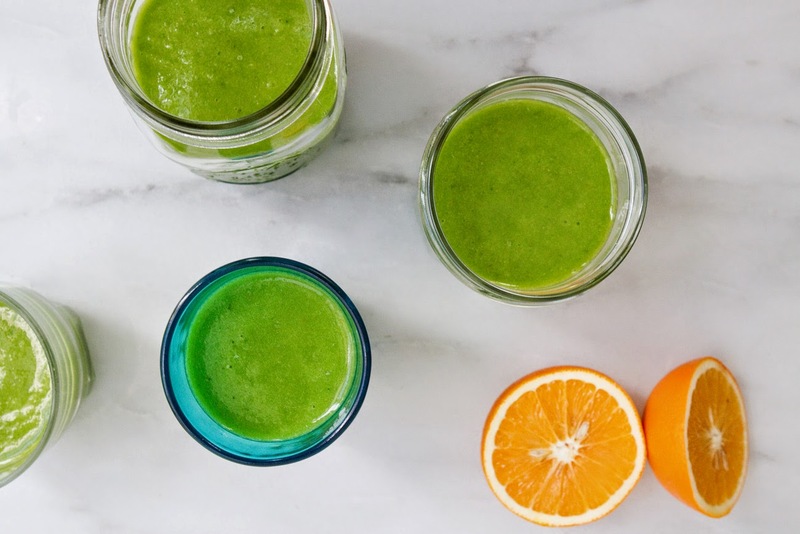 Juice peeled oranges, kale, and ginger in a juicer, save the juice. 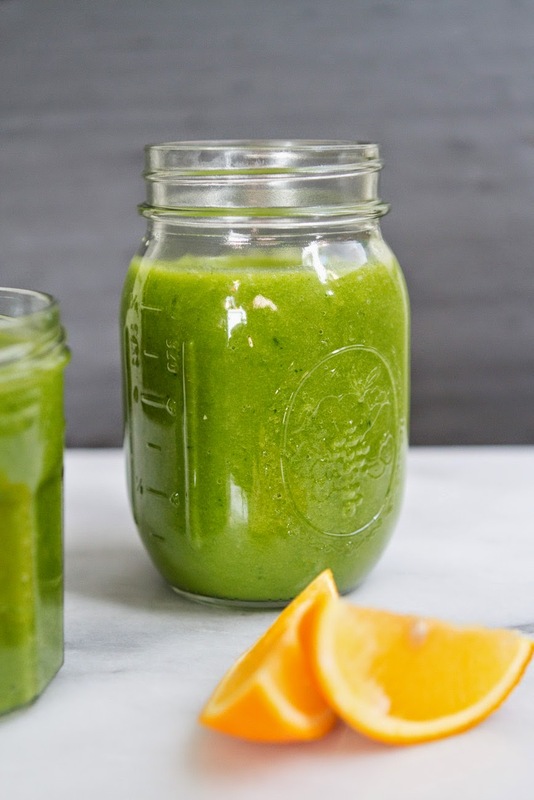 Then, add the kale/orange/ginger juice to your blender, along with the frozen pineapple, honey, and cayenne pepper. Run on high until the pineapple is all blended into the juice and the drink is smooth. Pour into glasses and serve immediately. Mmmm, ginger+ cayenne... it sounds like a lovely combination! Thanks! It is a tasty combo, sweet, spicy, and a bit tart from the pineapple! After something like a week of drinking the Green supplements I started to feel a radical change in my physique. Yet I had a feeling that I was getting a bit down from the stuff. Later I discovered that its an indication of detoxification. The detox got so terrible that I was pretty wiped out for something like 3 days.